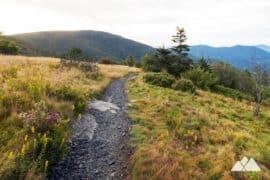 Hike the Graveyard Fields Loop to explore tumbling waterfalls, views from Graveyard Ridge, and fields of wildflowers, blueberries, and blackberries just off the Blue Ridge Parkway. 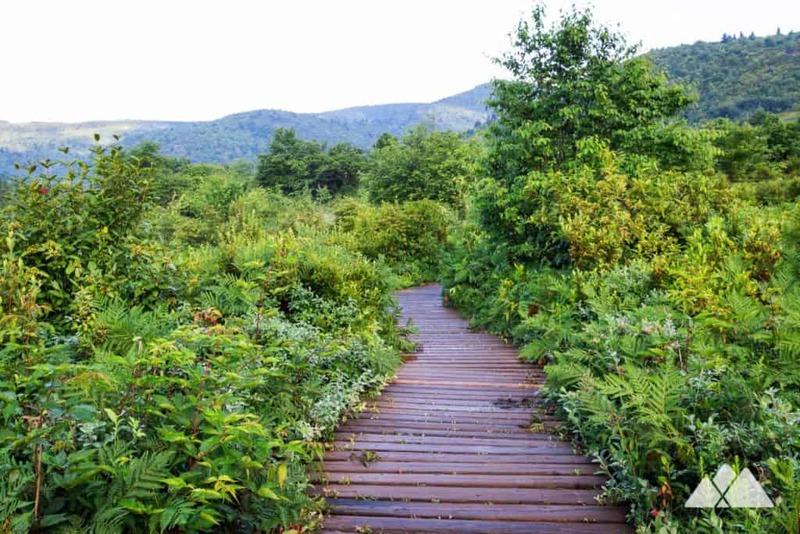 Graveyard Fields is one of the most beautiful, wonderfully scenic and wonderfully unique hiking areas on the Blue Ridge Parkway south of Asheville. 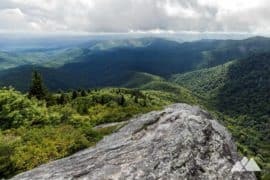 And it’s also one of the Parkway’s most popular hikes: mix these trails with some sunshine and summertime weather, and you’ll likely find a full trailhead and trails packed with hikers. 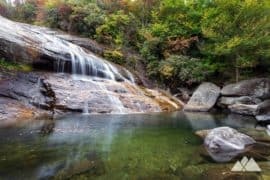 This six-mile adventure explores the highlights of the popular 3-mile hike on the Graveyard Fields Trail, including its beautiful waterfalls. 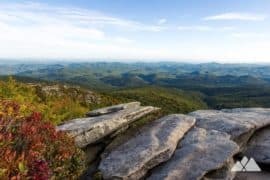 And this longer route adds some beautiful views of the nearby Black Balsam Knob and explores some seemingly endless, sprawling thickets of wild blueberries and blackberries. 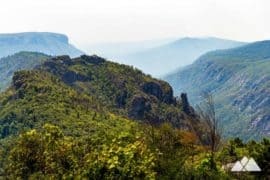 The hike explores stunningly diverse landscapes, visiting a creek valley, sun-drenched ridge, lush meadows and two waterfalls. 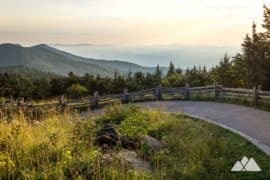 It’s a six-mile twist on the classic Graveyard Fields hike, visiting the area’s highlights while scoring some relative serenity, too. 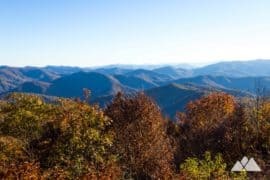 The hike starts at a trailhead just off the Blue Ridge Parkway (view maps and driving directions), departing from the eastern edge of the parking area. 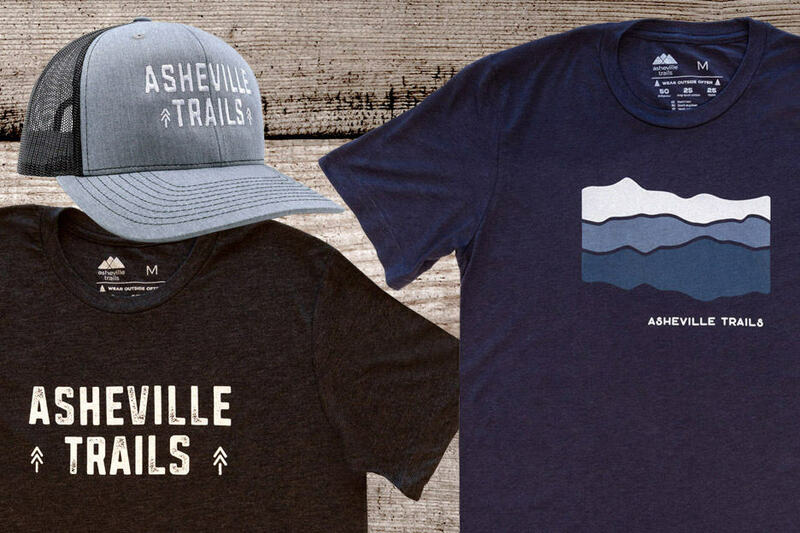 The trail dives away from the Parkway into a gnarled, dense forest of rhododendron and mountain laurel, and then crosses a bridge over Yellowstone Prong. 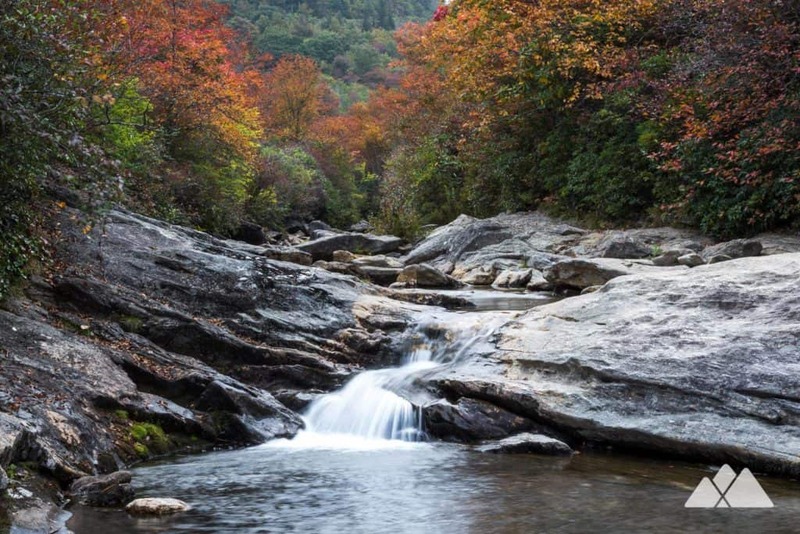 The clear-flowing river carves into the rocky terrain and tumbles between large, scattered boulders. 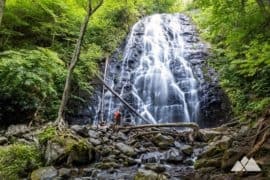 After crossing the bridge, the hike veers right at the next two trail intersections to visit the multi-tiered ‘Second Falls’ waterfall. The hike descends a series of wooden ramps and stairs, reaching Second Falls at .3 mile. Departing the waterfall, the hike backtracks to the intersection with the Mountains to Sea Connector trail, turning right on the Mountains to Sea access trail and traveling northeast. 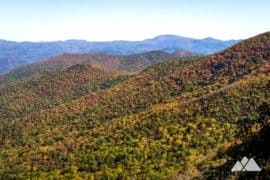 The hike rolls elevation through mounded, grassy forest filled with tall fern, veering left at a trail intersection at .5 mile. 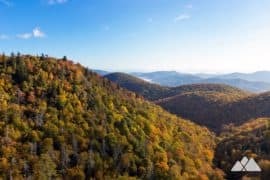 The hike climbs steadily, arcing westbound and passing several wide-trunked, old-growth oak and balsam trees. 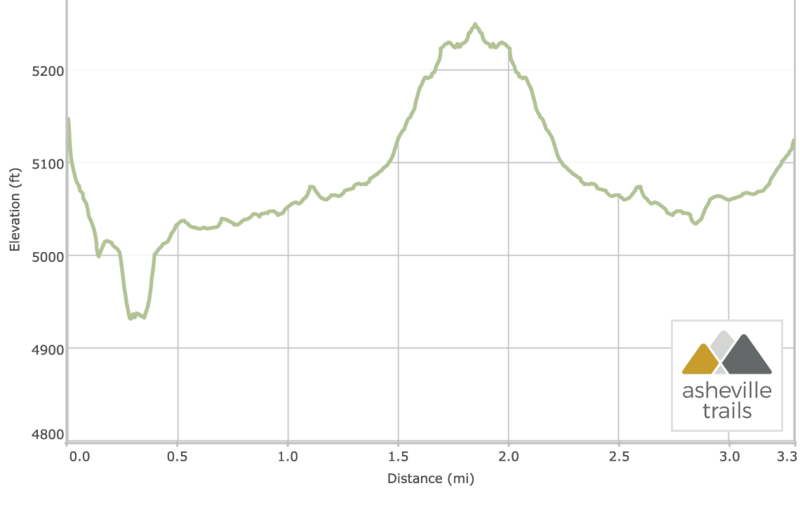 The trail continues to climb, crossing through thickets blackberry bushes and reaching a signed intersection at 1 mile. 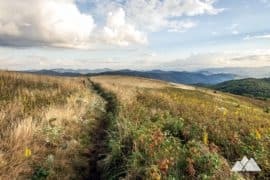 The hike turns left at the intersection, traveling southwest on the Graveyard Ridge Trail. The hike continues westbound, passing a trail intersection with the Graveyard Ridge Connector Trail at 1.2 miles. 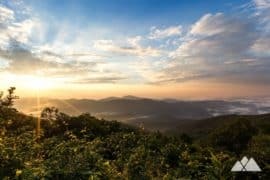 Views of the surrounding vast, rolling meadows extend to the south. 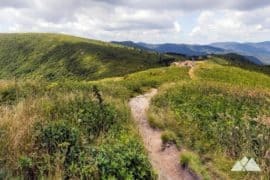 The hike catches views of nearby Black Balsam Knob at 1.9 miles, and meets a grassy clearing at 2.2 miles, an intersection with the Mountains to Sea Trail. 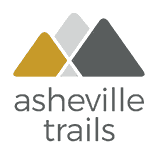 At this intersection, this hike turns, retracing its steps eastbound, and turns right at 3.25 miles, following the Graveyard Ridge Connector southbound. 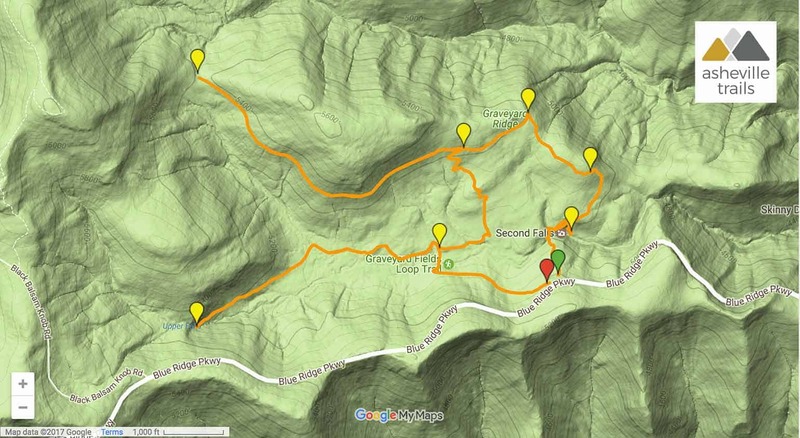 The trail meanders as it descends, turning west at 3.6 miles to hike to the Upper Falls. 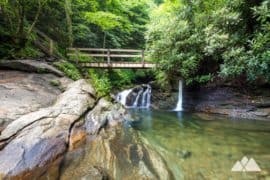 The hike crosses a boardwalk and through several shallow creek crossings before climbing through a root and boulder-filled terrain to reach the upper waterfall at 4.8 miles. 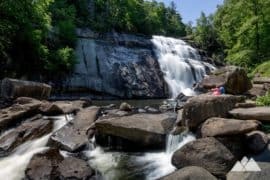 A boulder-filled river bed and well-worn, carved rock frame the towering upper falls as it tumbles from a tall, balsam-capped cliff. 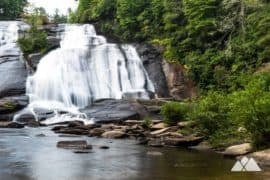 The upper falls is one of our all-time faves for an early morning breakfast on the Blue Ridge Parkway – and with just over a mile left in this hike, it’s a great place to take a breather and soak up some scenic beauty. Departing the upper falls, the hike retraces its steps, hiking eastbound toward the trailhead. 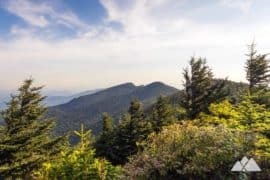 At 5.7 miles, the hike hangs a right, crossing a bridge over Yellowstone Prong and climbing through a densely shaded forest of gnarly-branched rhododendron. 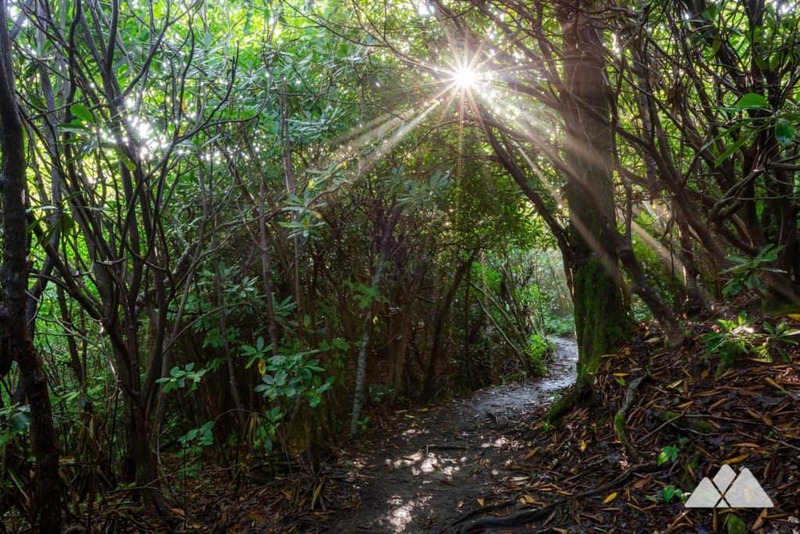 The hike reaches sudden sunlight at just over 6 miles, exiting the trail at the trailhead and completing the adventure. 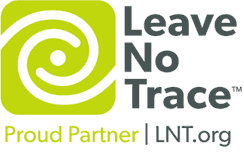 Note: Due to heavy use and erosion, these trails are routinely updated and rerouted. 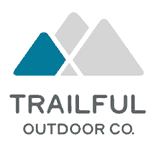 Follow posted trail signs and trail maps for the most current trail routing. 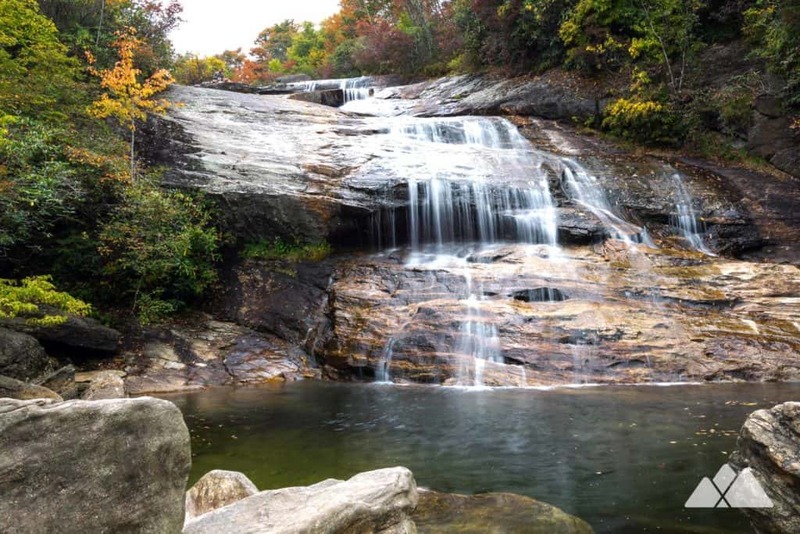 As always, don’t climb on, near or around waterfalls – the rock, when wet, can be extremely slippery (and dangerous). 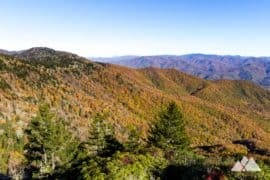 And please pack out everything you packed in to preserve the remarkable beauty of this wilderness. 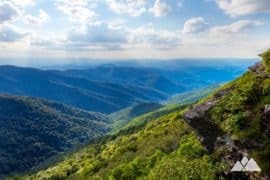 This section of the Pisgah National Forest is ultra-scenic, rugged and beautiful, and it’s one of our all-time favorite hiking areas south of Asheville, NC. 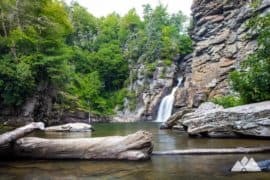 Explore some stunning waterfalls downriver on the Yellowstone Prong, and visit the popular summertime swimming hole at Skinny Dip Falls. 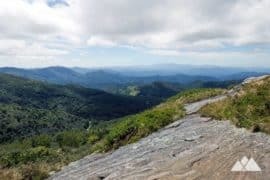 Hike to stunning summit views on the nearby Sam Knob Trail, located off the Blue Ridge Parkway at MP 420 on Black Balsam Knob Rd. 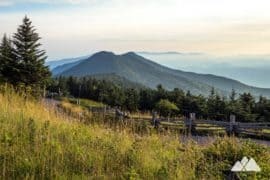 Or catch endless 360-degree panoramas from the treeless, wildflower and blackberry-covered summit of Black Balsam Knob on the Art Loeb Trail.